Found one file extension association related to Larry Bond's Harpoon and 1 file format developed specifically for use with Larry Bond's Harpoon. Developer / company: Matrix Games Ltd.
Larry Bond's Harpoon – Commander’s Edition is the latest addition to the longstanding naval warfare simulation series that has brought awards and accolades from naval strategy fans and military personnel alike. Like its predecessors, Harpoon – Commander’s Edition allows players to assume the role of a fleet commander, making the same type of decisions he has to make, using the same type and quality of information he might expect to get in wartime. As players take to the seas and command a huge variety of ships in an equally as varied choice of theaters and historical conflicts, naval officers and naval strategy fans alike will revel the depth and richness of Larry Bond's Harpoon – Commander’s Edition. Experience realistic gameplay with all new features, art, and more! 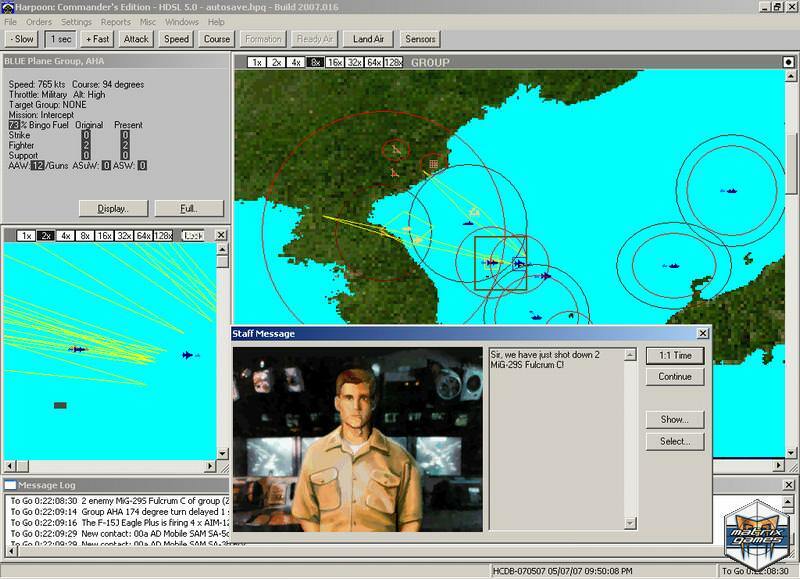 Choosing from an accurate and editable database of platforms, weapons, and sensors, players can fight one of 269 provided scenarios covering the height of the Cold War to Pirates in Malaysia, or use the provided editors to create their own. If you need more information please contact the developers of Larry Bond's Harpoon (Matrix Games Ltd.), or check out their product website.